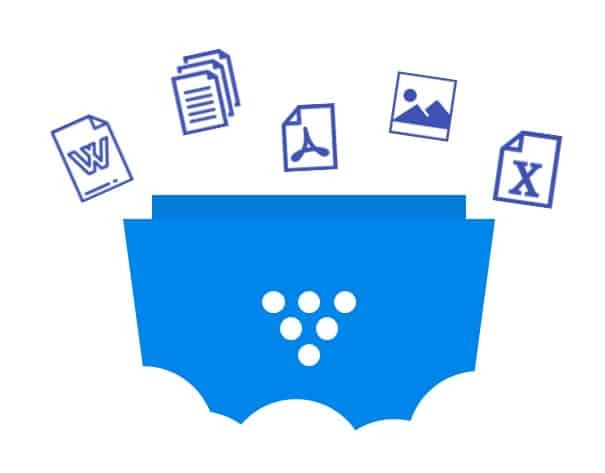 Share And Collaborate On Documents Online with Version Control, Notifications And More. Whether it is within specific teams, across the organization, or with external partners, HyperOffice ensures that only the right people can access, share and collaborate on precisely the information they need, wherever they are. Enterprise grade features like multi-level permissions, version control, commenting and web folders ensure that your teams can effectively work on documents wherever they are. Rather than giving your external and internal audiences a vanilla experience with folders and libraries, create an intricately tailored and branded experience to present information in context. Share unlimited documents with employees, distributed workforces, and customers from any Web-enabled computer. Store any size document or group of documents online through a secure, central repository. Document backup is an added bonus to sharing, storing, and managing documents online. Documents are stored in secure, offsite data center facilities equipped with redundant servers that guarantee 99.9% uptime. 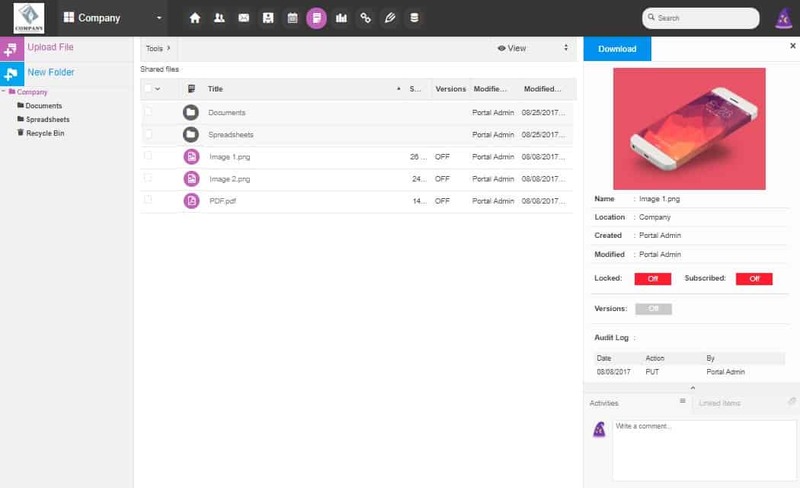 Collaborate on files with colleagues, partners or customers with document collaboration features like document version control, audit trails, locking, document commenting and more. Easily control access to documents, folders or subfolders with our permission-based document management system. Manage your document collaboration process with document version control, overwrite protection, commenting, and document locking. Use convenient Web folders to access documents virtually. A quick and secure way to backup data in real-time. Questions about our online document management system? You’re covered. Does your online document storage solution have any document size limitations? Can I only upload Word documents? What other file formats are supported within Document Manager? How do I transfer documents and files into your online document management system? How can I share documents with remote workforces and others outside my company? Do I need to save my documents to a hard drive or file server? Does your document management solution provide data backup protection? Does your document manager offer document collaboration tools to enable document version control? How can I restrict access to some documents and leave others open? Do you offer SSL encryption during document transfer? I have several departments that share documents. How can I organize and store these files? Learn more about online document storage and online file storage. Our document management system supports all data formats-even emails. 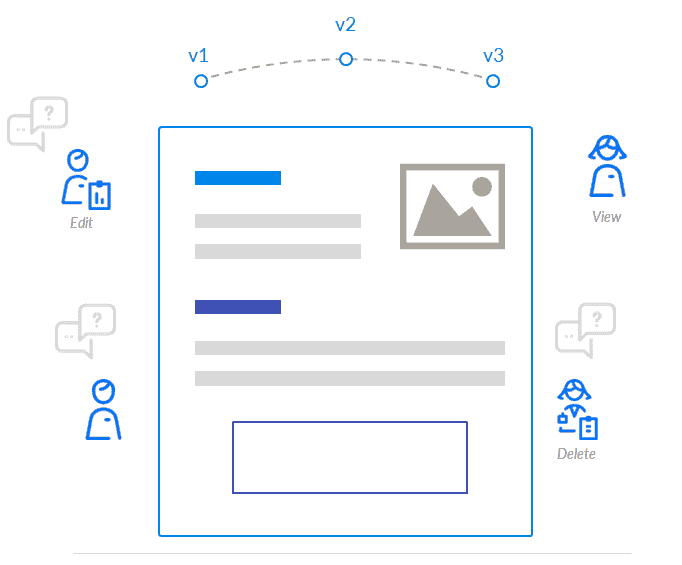 Learn more about document manager features and document sharing. Transferring documents and files is done with just an Internet connection. You can login to your document management system to upload and download. 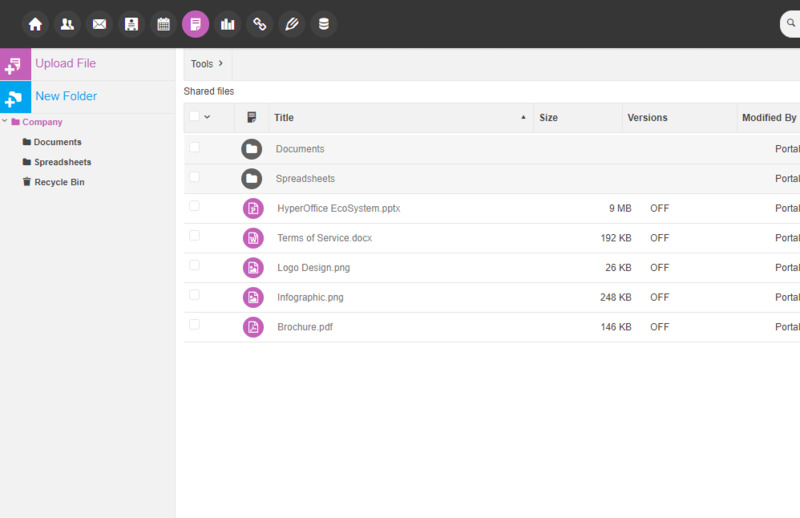 Or, you can use Web folders to virtually transfer files between your PC and HyperOffice. 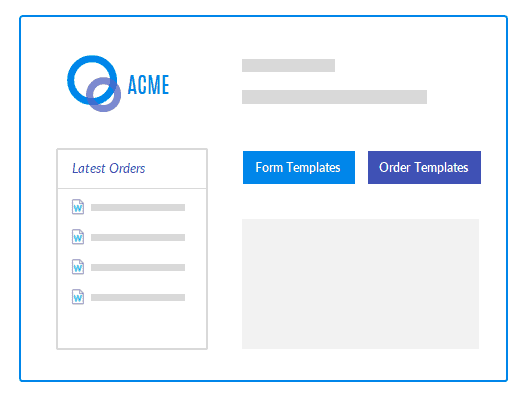 Learn more about online document management and Web folders. Since your documents are stored online, any of your users can access them with a Web browser. You can share documents with anyone in the world if they are a user on your account. No. All documents that you upload to HyperOffice are stored in a secure, offsite facility. One benefit to online document management is there is no software or hardware for you to install or maintain. Our system functions as an online hard drive and online data backup. Learn more about our online hard drive and online documents. Yes. Data backup protection comes standard with every HyperOffice account. Backup is done automatically. There’s nothing for you to manage or schedule. Plus, we offer Web folders that double your backup protection. Learn more about online data backup and Web folders. Absolutely! HyperOffice fosters document collaboration repositories with an entire suite of document versioning tools. Track versions, append comments, audit modifications, and lock and unlock documents. All management is done online and in real-time. Learn more about document collaboration and document version control. 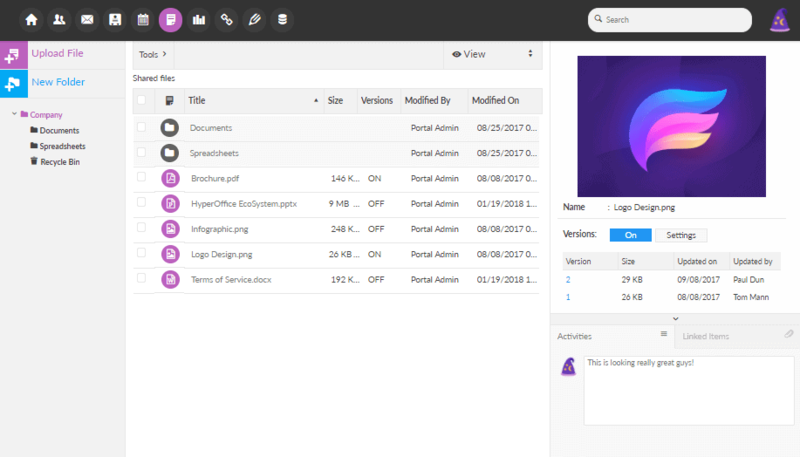 HyperOffice has 2 levels of permissions: user and document. First you can limit document access rights to users. This manages which documents users can view. Next, you can limit the modification options for each document. This protects documents from deletion or overwriting. Learn more about document sharing and online documents. Yes. We use 128-bit encryption to protect files during transfer. Learn more about document manager features and online documents. You can organize documents into convenient folders by department, project, or location. Learn how to share documents and about online document storage.